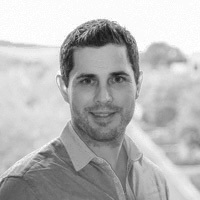 Derek Shaw is the Chief Operating Officer (COO) at Sports 1 Marketing and oversees all day-to-day business operations at the firm. He has spent over 13 years in the Consumer Package Goods Industry working for companies such as Johnson & Johnson (Neutrogena), Crabtree & Evelyn, Pulmuone Foods, Gallo Wine, and Pacific World Cosmetics. He has held a range of leadership positions within Brand Marketing, Trade Marketing, Sales, Sales Strategy, and Operations.